The Native Advertising Institute awarded Summit Media the bronze prize for Best Integrated Program at the Native Advertising DAYS 2017 conference in Berlin, Germany on November 9. 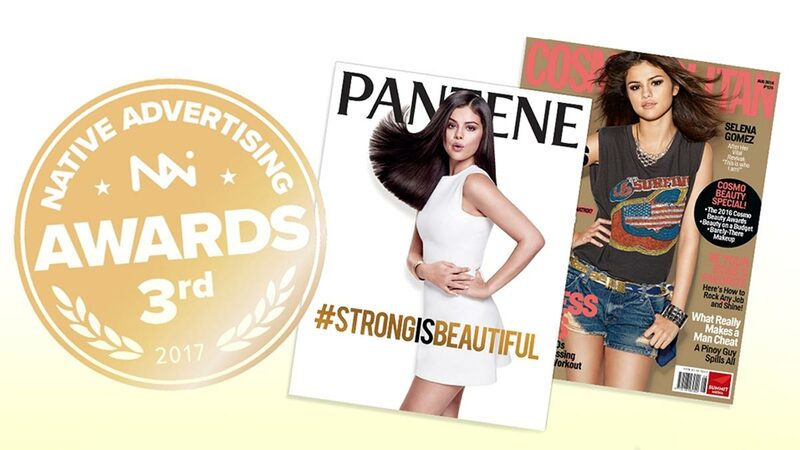 Summit Media's winning entry was Cosmopolitan Philippines' “Strong is Beautiful” omni-channel campaign, a collaboration with Pantene that was spearheaded by StoryLabs, Summit Media’s brand marketing team. A stellar jury from across the industry chose this year’s winners for categories representing the most important aspects of native advertising such as strategy, organization, formats, and channels. The 2017 jury included native advertising experts such as Stephanie Losee, Head of Content at Visa; Susan Borst, Deputy Director at Mobile IAB; Stuart Feil, Custom Publishing Director at Adweek; Nick Drake, Senior Vice President, Digital at T-Mobile; Rebecca Lieb, Leading Industry Analyst on Native Advertising; and Irina Pashina, Senior Director, Content Marketing at SAP. The Native Advertising Awards is the biggest awards program for native advertising in the world. It aims to acknowledge excellent native advertising and promote inspiring, effective, and creative work that helps organizations worldwide tell great brand stories in a non-disruptive way. The Copenhagen-based Native Advertising Institute is dedicated to helping publishers, brands, and agencies succeed with native advertising by providing insights and tools such as case studies, best practices, how-to guides, analysis from industry insiders, research, and e-books. Native Advertising DAYS is the first conference in the world dedicated exclusively to the field of native advertising and brings together thought leaders, entrepreneurs, creative minds, publishers, brands and agencies from all over the world.